Once you have solidified your own retirement plan and have saved enough, you may find yourself wanting to help your grandchildren. You might want to lessen their financial burden by paying for college or reward them for meeting various goals. Giving money is one way to help your grandchildren. If you are in the financial situation where you want to simply give money to your grandchildren to use however they please, simply gifting money is a viable option. However, you should keep the federal lending limit in mind while doing so, explains Michael Gross, CFP, CPA and owner of Rising Tides Financial. Giving away that much money at once may sound like a bad idea, but if you have all of what you need in retirement, you can lessen your own estate taxes by gifting excess funds to your grandchildren. “The money you put into this account would not be taxed whatsoever, and once it comes time for your grandchild to apply for student financial aid, this money won’t be taken into account either, which could help him or her receive more in financial aid” says Gross. Another strategy you can use with a 529 plan is to “frontload” the account. This term refers to putting a large sum of money into the account at one time. 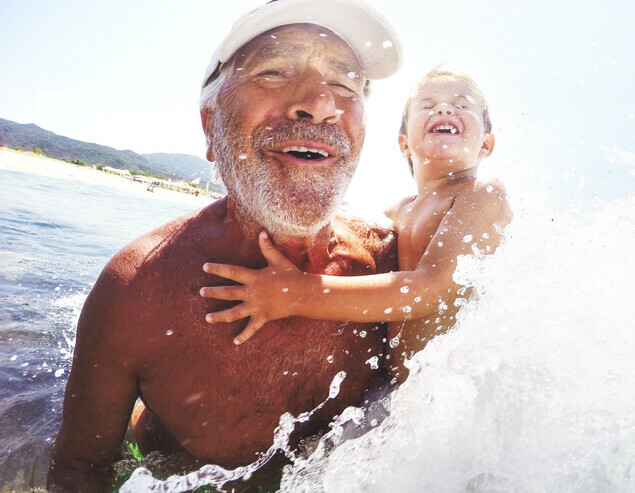 Do keep in mind, though, that if you frontload your grandchild’s 529 plan for five years, you can’t make another contribution until the five-year time period has passed. You also have a couple of other options when it comes to helping grandchildren with their finances. You may open and fund accounts that you control while your grandchildren are young or until you decide to give them access. One option is a trust. “There are many different types of trust accounts; for example, you can choose to distribute the funds in installments or when they reach an accomplishment, such as a college degree or an income level, or some combination” says Gross. On the other hand, a custodial account is an account where you are considered to be the custodian, which means you have control over it until the grandchild is 18 or 21 (depending on which state you live in). “A custodial account is similar to a savings account and the funds in it can be used for anything,” Gross points out. You don’t want to help your grandchildren financially and then run out of money for yourself later on. Unfortunately, this is a fairly common occurrence. Children and grandchildren that live with parents and grandparent can drain your savings. Learn more about boomerang kids here. Before you give to grandchildren, you should assess your own retirement plans. The NewRetirement Retirement Calculator makes it easy to get started with fast answers about your financial health. This tool was recently named a best retirement calculator by the by the American Association of Individual Investor’s (AAII). Sharing your time with your grandchildren will likely insure a greater legacy for you than giving them money. Share what is important to you by spending time with them doing what you love. If you are still working, can they join you for a day at work? Do you love to travel? Have you considered taking them on one of your trips? Can’t afford very much? Baking cookies or reading books together at home are long cherished grandparent traditions. Live far away? Take advantage of technology for Skype video call or a daily text — even if they don’t respond, they’ll know you are thinking of them.